Our School believes and teaches the 5 tenants of Taekwondo. We focus on teaching our students in a fun and structured environment. We want to share our knowledge with the world and help you to become the best Martial Artist you can be. Our Instructors also offer private lessons to help our students get that extra practice that they need to succeed. Private Lessons can be for Taekwondo, MMA, Cardio or Self-Defense. You can request a Private Lesson to help get ready for an upcoming tournament, sharpen your skills before a belt test or if you are feeling less than perfect and could use some extra attention in any area that we train in. Feel free to drop our instructors an email if you have any questions. Mr. Burns Began his Taekwondo training in 1982 and started teaching martial arts in 2002. He has experience teaching children and adults of various abilities and levels. Mr. Burns has also been an assistant high school wrestling coach for many years. With a love for instructing, Mr. Burns maintains a high standard for safety and personal improvement for all his students. His teaching has a way of motivating and inspiring children and adults alike. 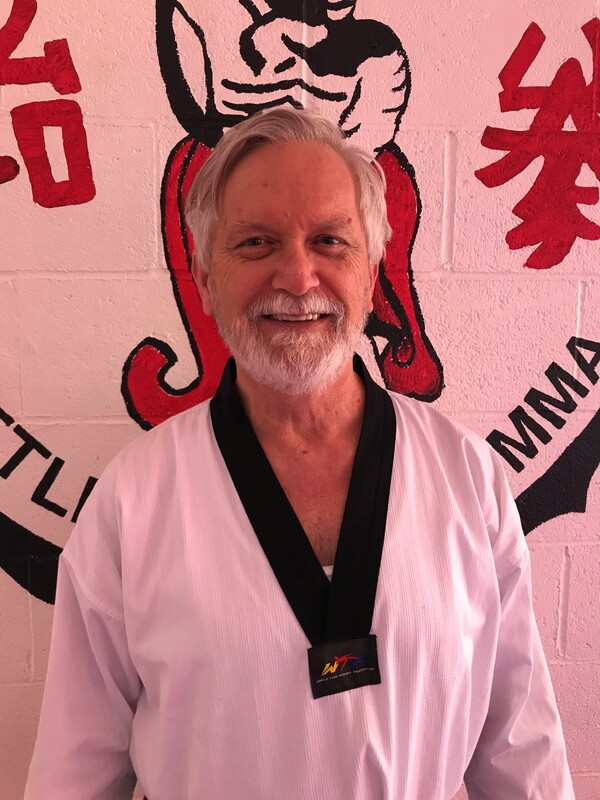 Mr. JD started his martial arts training at the age of 6 and has several years of being an assistant trainer under Master Shon and Mr. Burns. He has also recently achieved the rank of 3rd Dan in Taekwondo. He has been training in mixed martial arts such as kickboxing, wrestling and jujitsu as well. He has successfully competed in Taekwondo, Jujitsu, and wrestling tournaments. Mr. JD now competes on the Professional MMA Circuit in the Pacific Northwest and hold 4 Title Belts. Miss. 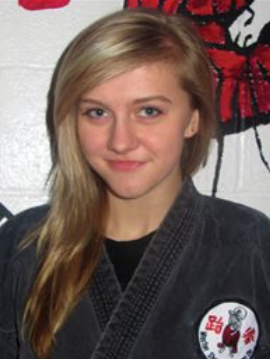 Taylor began training when she was 6 years old and has loved every minute of it. Taekwondo was the missing piece that helped Miss. Taylor to overcome her shyness and low self-confidence. Miss. Taylor has a reputation for detail and loves to see all her students reach their goals. She has a strong background in High School wrestling and MMA. Miss. Taylor recently earned her 3rd Dan in Taekwondo and has plans to continue her training so she can always be able to pass along her knowledge to others. Miss. Taylor is the Primary Instructor for Team Roundhouse. 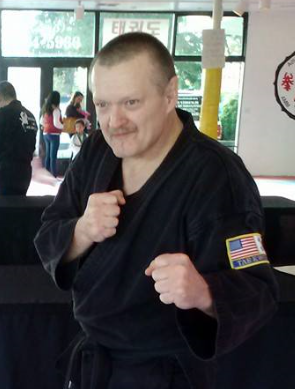 Mr. Tyler has been a student at Black Belt USA since 2009. He is very energetic and holds a true enthusiasm for the sport of Taekwondo and teaching. Mr. Tyler works hard to make sure that every student receives the attention that they need to be the best that they can be. He loves to include laughter and fun into his classes as a way to increase learning and motivation. 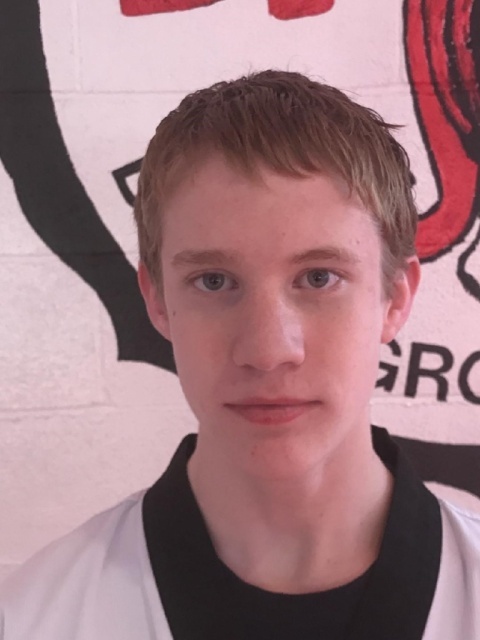 Mr. Tyler recently earned his 2nd Dan in Taekwondo and has no plans at slowing down anytime soon. Mr. Black is an Assistant Coach for Team Roundhouse and serves as our Web Designer. Mr. Black uses his knowledge of physical training that he gained while working for the United States Army and as an EMT to help students boost their Endurance and hone their skills. Mr. Black believes that a positive attitude is the best way achieve your goals. 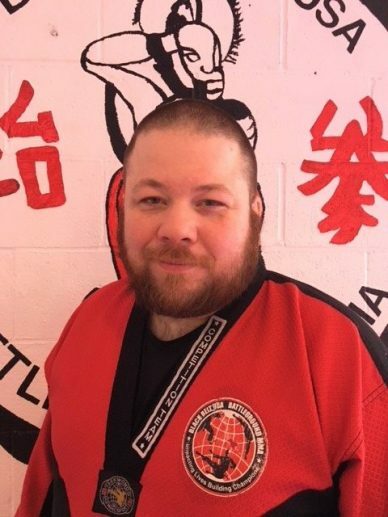 Mr. Brett is an Assistant Instructor for Taekwondo and an active member of Team Roundhouse. 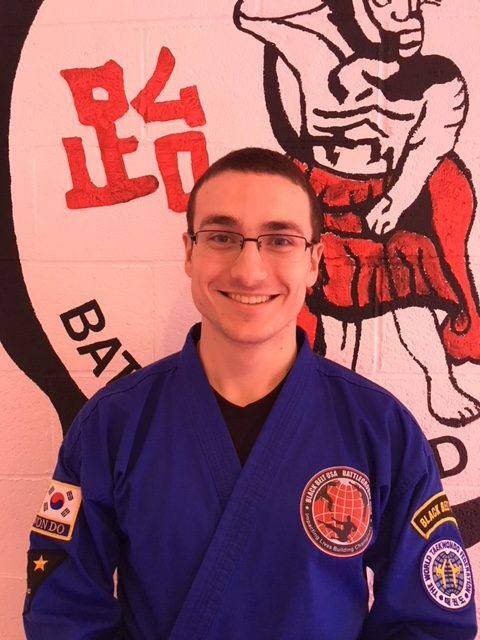 Mr. Brett is a 2nd degree Black Belt and enjoys working with younger students with a lot of extra energy. Mr. Brett strives to make sure our students achieve their goals and makes sure that they have fun doing it. Mr. Collier began his journey in 2016 when he was 64 years old. 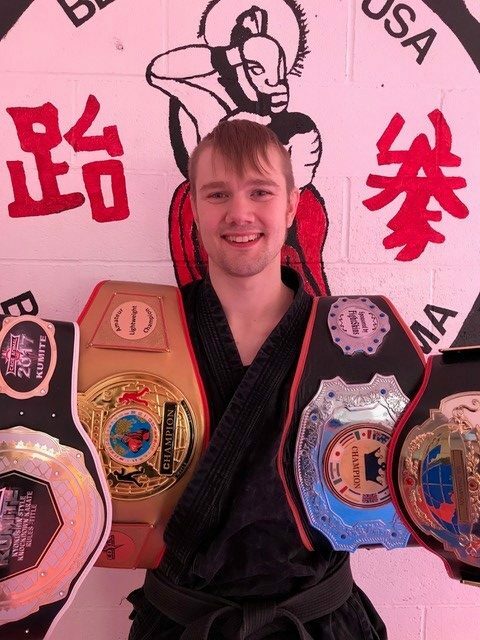 He earned his Black Belt in 2018. Mr. Collier prefers to help younger students with their Techniques. Mr. Collier can be found at all of our Tournaments and Belt tests helping and being a part of our school. Mr. Cody is the youngest Instructor in our schools history. He earned his Black Belt and never looked back. He spends countless hours at our school supporting every level of learning and every class. Mr. Cody works hard to make sure that even the youngest students get the right attention in our school.